Salted Malted Chocolate Chip Cookie Dough? Strawberry Honey Balsamic with Cracked Black Pepper? Sea Salt with Caramel Ribbons? With flavors like that, it’s no surprise Salt & Straw Ice Cream has legions of fans in Portland, Oregon, and Los Angeles. We talk to co-founder Kim Malek about what it takes to get an ice cream company off the ground. 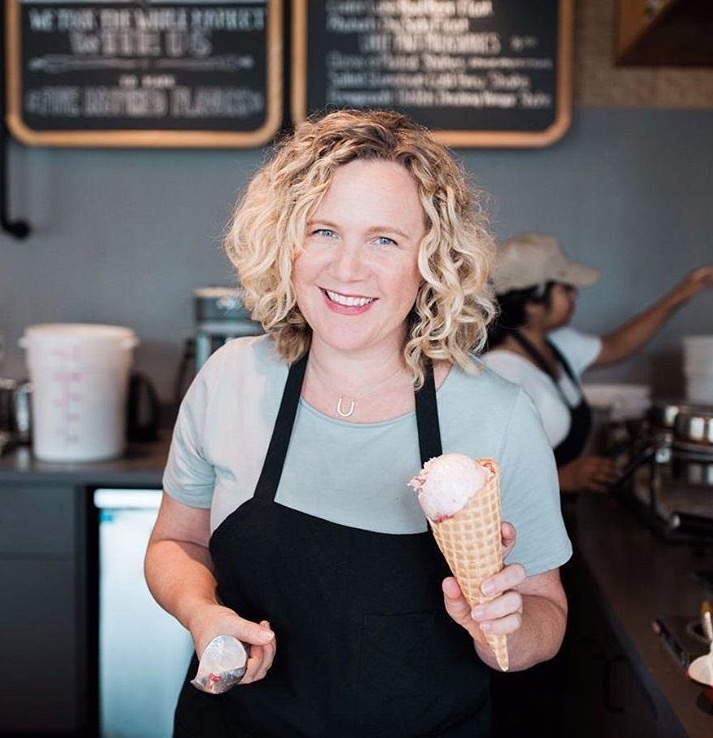 She joined forces with her cousin, cashed in her 401(k), and now they helm one of the fastest growing ice cream brands in America. Kim, who’s got a great big heart, also chats with us about everything from accountants to adoption to Anthony Bourdain. She’s a warm person in a chilly (but yummy) business, and you won’t want to miss this conversation.